Fifteen gel stickers that are totally re-positionable! 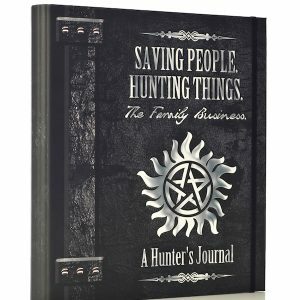 Featuring Castiel in some of our favorite episodes along with the angel banishing sigil, his angel blade and more! 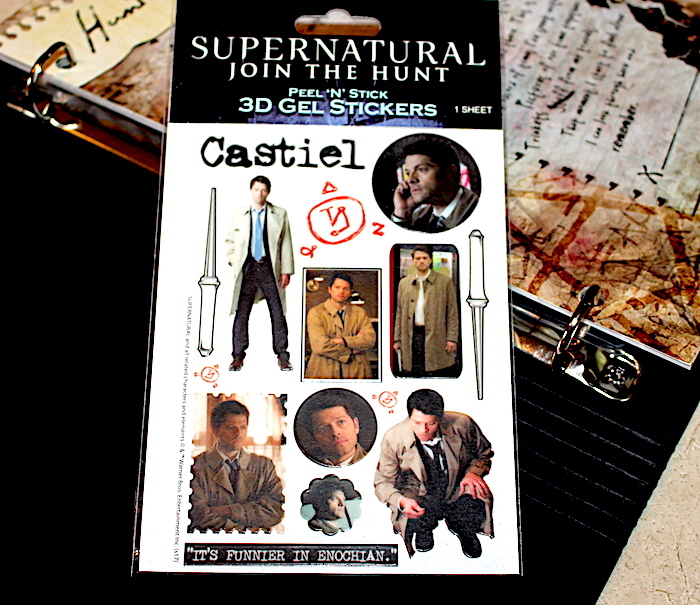 Decorate your Supernatural Journals with our Castiel Gel Sticker Sheet! These stickers are made from a proprietary process that makes them totally re-positionable! 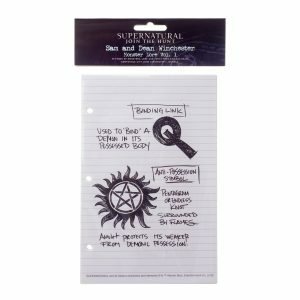 Featuring Castiel in some of our favorite episodes along with the angel banishing sigil, his angel blade and more! 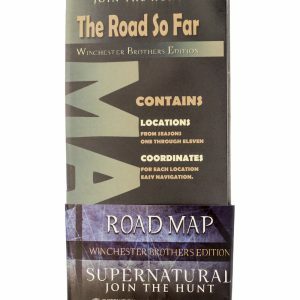 4″ x 6″ clear sticker sheet includes 15 stickers!